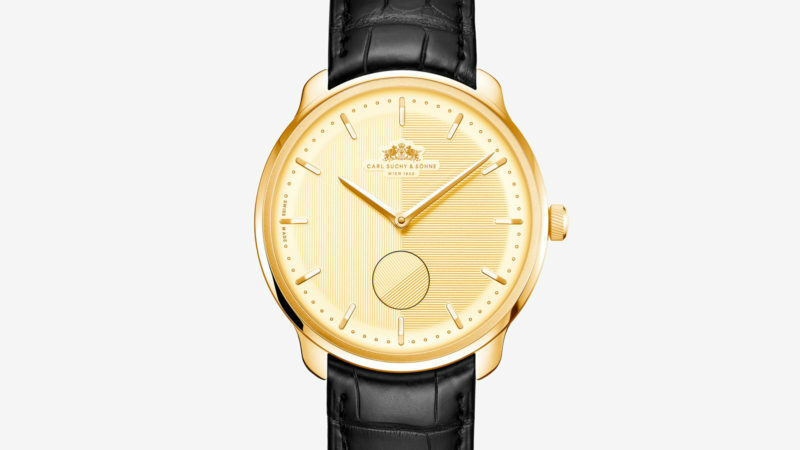 A beautiful 18-carat gold watch with a “waltzing” second disk, inspired by Viennese Modernism’s “golden era” and the Vienna Waltz. Spearheaded by the great painters Gustav Klimt and Egon Schiele, Viennese Modernism was a tremendous cultural and intellectual force that reverberated around the world in the late 1800s and early 1900s. 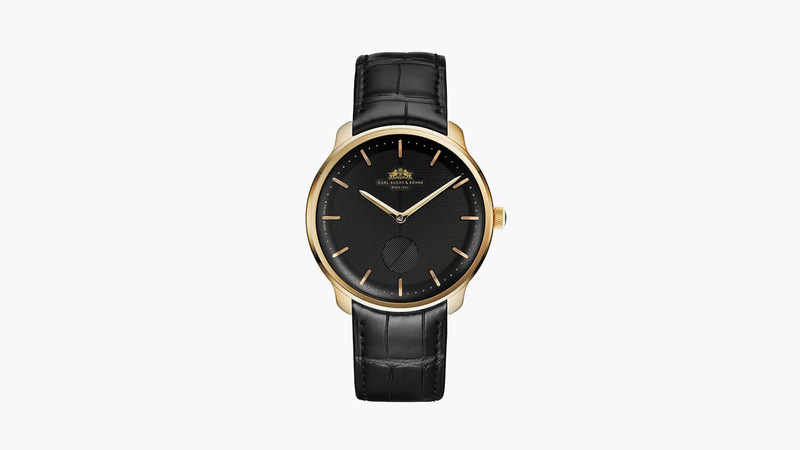 Headquartered in Vienna since 1822, the luxury watch brand Carl Suchy saw the birth of Viennese Modernism and produced countless watches during the heyday of this important artistic movement. 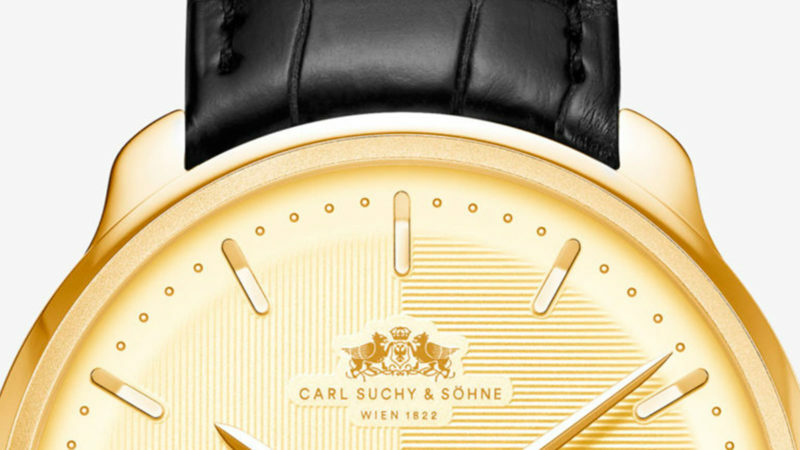 With its Waltz N°1 Gold, Carl Suchy & Söhne recalls the very best of Viennese Modernism’s “golden era” with a striking 41.5mm case in 18-carat gold that is offset by a striking black PVD face with gold hands and indices. 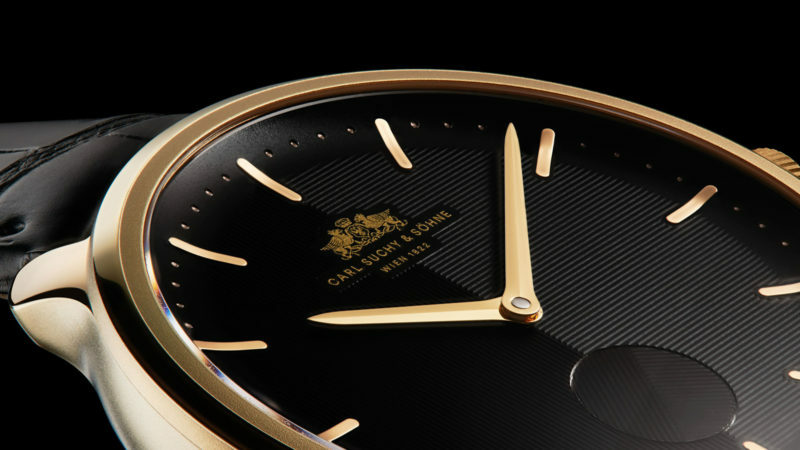 The seconds hand (or disk, in this case) at 6 o’clock is inspired by the Vienna Waltz, as the disk “waltzes” around in its place. 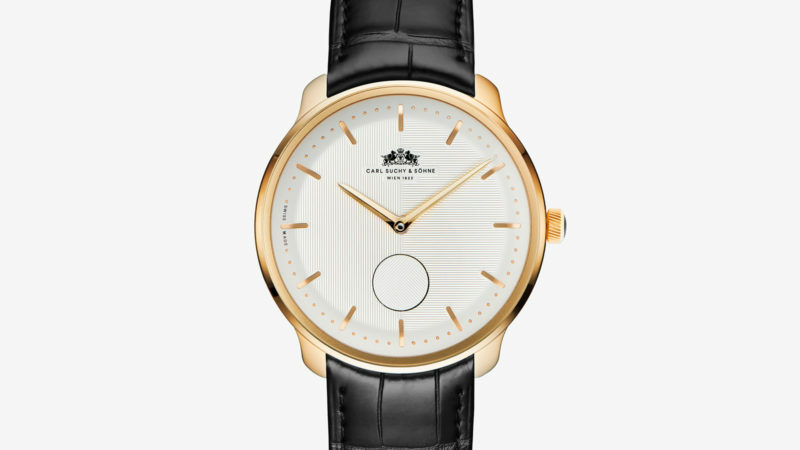 The watch is powered by an automatic Vaucher Fleurier Manufacture caliber 5401 movement with a 48-hour power reserve. 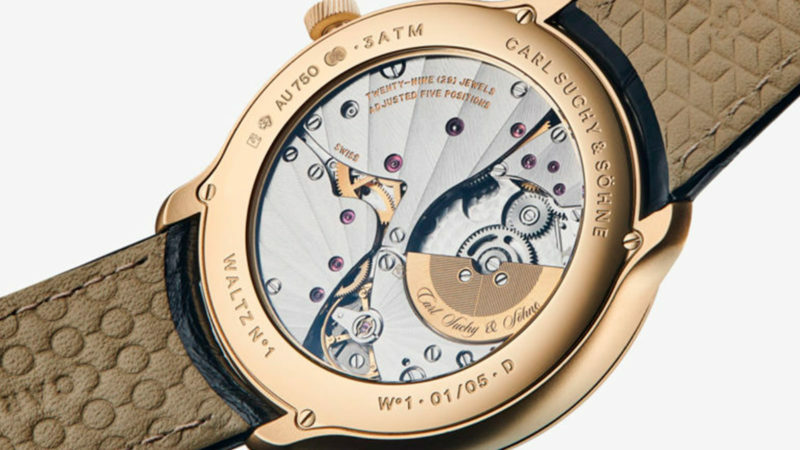 If all of this sounds good to you, this news may sadden you: Carl Suchy & Söhne is limiting production to just five watches. Cary Grant’s striking sunglasses from Alfred Hitchcock’s ‘North by Northwest,’ recreated with tortoise acetate frames and polarized lenses.